Not much to look at, is it? I took that single photo of the plant on May 19, just to remind myself that I’d seen the flowers, never intending to post about it. Some flowers are really just unremarkable. So I noted it for my spreadsheet (yes, I have a spreadsheet) and promptly forgot about it. 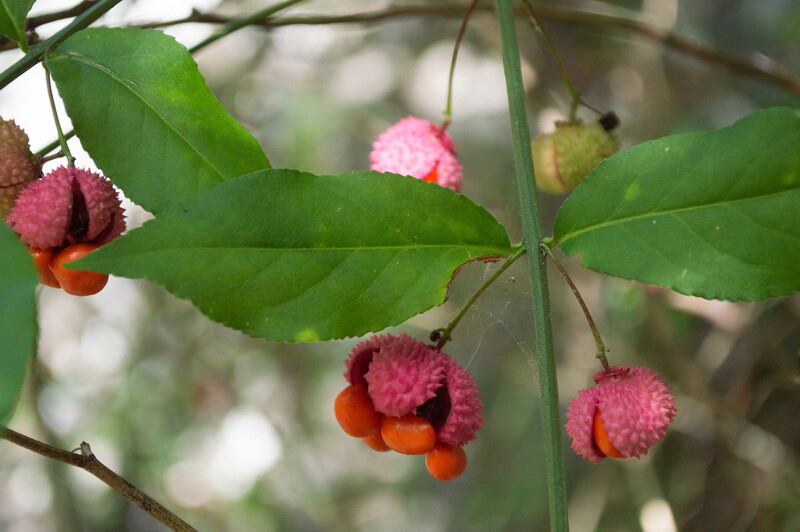 …until four months later, when I saw the fruit and seed. 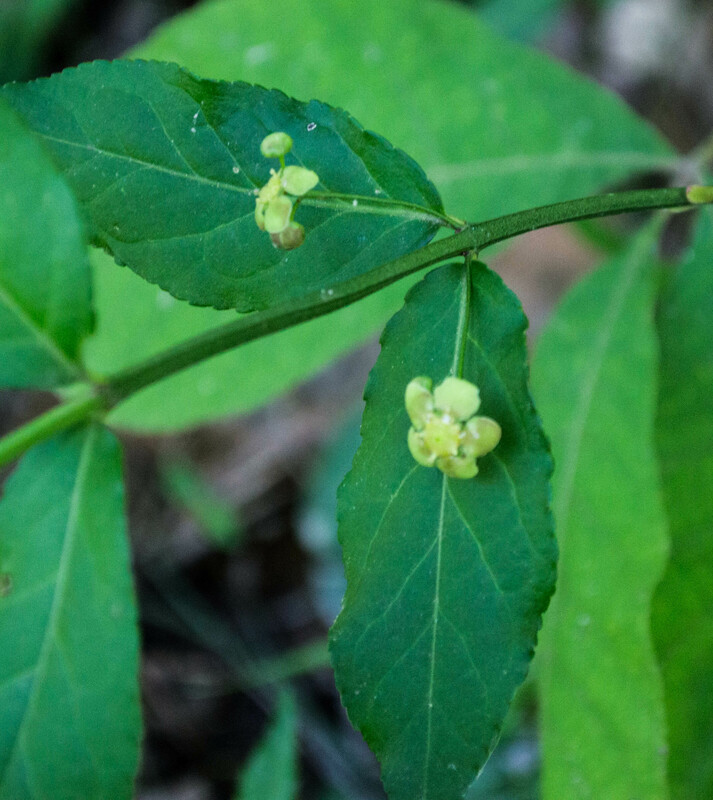 This eastern US native can be found from New York (where it’s endangered) south and west as far as Texas. It’s also endangered in Illinois. Apparently deer forage on the foliage; in some areas strawberry bush’s absence is considered an indication of deer overpopulation. 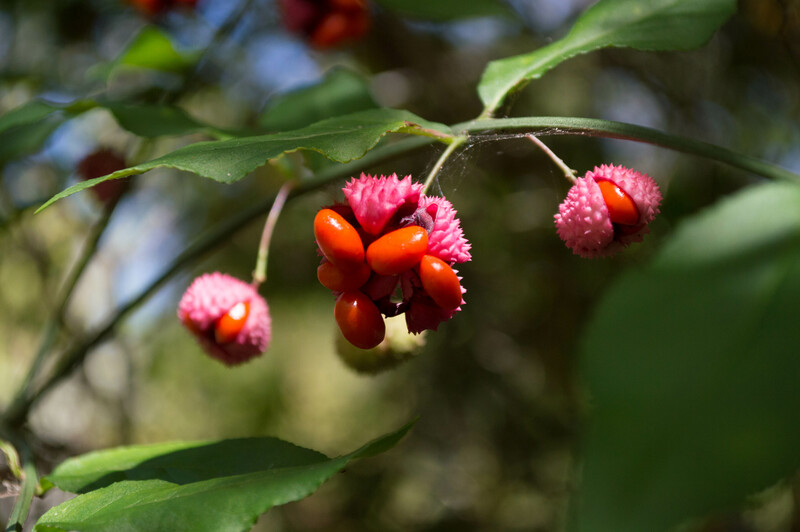 This entry was posted in Uncategorized and tagged bittersweet family, Celastraceae, euonymus, fruits and seeds, strawberry bush by elizabeth. Bookmark the permalink.